In order both to prepare for an increasingly diverse society and to help students navigate diverse learning environments, many institutions of higher education have developed programs that support student learning and competencies around inter- and intra-group relations. 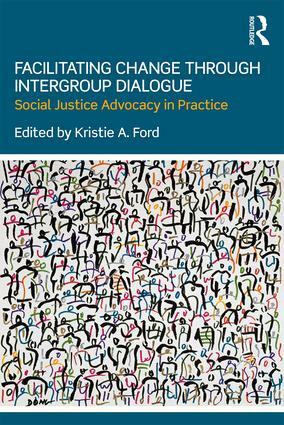 Facilitating Change through Intergroup Dialogue: Social Justice Advocacy in Practice traces the impact of Intergroup Dialogue (IGD) courses on peer-facilitators who delivered Skidmore College’s IGD curricula over a five-year period. Through a series of in-depth qualitative interviews and auto-ethnographies, this book explores how former IGD facilitators are applying what they learned to their personal and professional lives three to five years post-college. By exploring facilitators' application of IGD skills, understanding of social justice, and the challenges inherent in this work, Facilitating Change through Intergroup Dialogue offers concrete strategies for supporting undergraduate students in their enduring efforts towards justice.